Phase One’s two new Schneider Kreuznach ‘Blue Ring’ lenses are designed for the XF system (that of the 50 and 100MP cameras). The Blue Rings are the first zoom lenses in the series. The new lenses are the Schneider Kreuznach 40-80mm LS F4.0-5.6 and the Schneider Kreuznach 75-150mm LS F4.0-5.6. Both are optimized for Phase One’s full frame (53.7 x 40.4mm) medium format system. 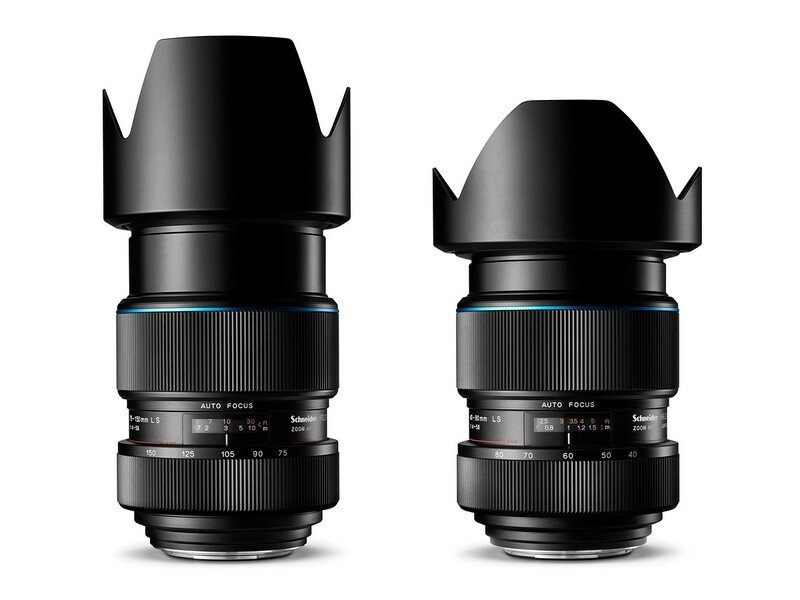 COPENHAGEN, July 18, 2016 – Phase One, creator of the world’s finest open-platform high-end camera systems and professional imaging software, today added two new Schneider Kreuznach lenses to its comprehensive family of lenses. These two Blue Ring zoom lenses feature impressive front glass elements, with front lens diameters of 63mm and 65mm respectively, delivering edge-to-edge coverage of full frame 645 format. Used on a Phase One XF 100MP system, the lenses are able to take full advantage of the sensor’s resolution; a 100MP capture renders a 100MP image with breathtaking fidelity. “Creating optics this large with such tight tolerances is quite an achievement, “said Espen Beck, Phase One Senior Product Manager. “A Phase One full frame 100MP medium format sensor is 1.5 times larger than the cropped size 50MP medium format and 2.5 times larger than sensors found in high-end 35mm DSLRs. Capturing the full resolution of a square sensor this size with a round lens and avoiding crop means that the entire lens must be larger, which requires larger movements of individual lens elements while meeting the requisite standards for speed and precision. There will be a hands-on Webinar demonstration of the lenses on Tuesday, July 19. The two new Blue Ring Zoom lenses are available to order now. They are compatible with the Phase One XF, Phase One 645DF+ and Mamiya 645DF+ or DF camera systems. Phase One Camera Systems and all accessories are available through Phase One photography partners worldwide: www.phaseone.com/partners.